The 3X55 Trainer from 3Xtrim company looks pretty conventional in its basic shape but don't let looks deceive you. I found this straightforward airplane to have wonderful flight qualities. Look for my report in a future issue of EAA Sport Pilot. Much attention on LSA seems to focus on U.S.-built aircraft or those from Czech Republic. Of course we have many other countries contributing to the growing U.S. fleet including Germany, Italy, and Australia. While Poland also contributes fabrication to the German-designed FK Lightplane series, the country isn't widely known to Americans as an LSA provider. Its fuselage boom with vertical flanges (assembled from two fuselage halves) shows how this airplane descends from sailplane gliders built for many years in Eastern Europe. 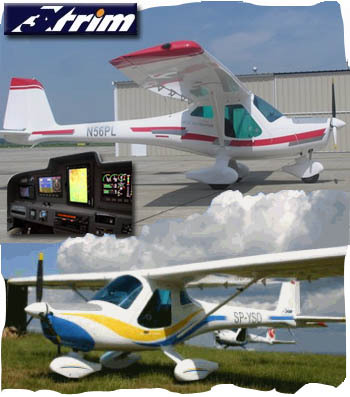 Imported by Rainbow Sport Aviation in Canada, the creator of the 3X55 is Adam Kurbiel, who designed gliders at the SZD-PZL glider factory before turning his attention to light airplanes. A modest cruiser (88 knots or 101 mph at 75% power), 3X55 handles beautifully and lands easily. The 47-inch-wide interior is nicely appointed with modern controls to match more expensive aircraft. Priced at $73,500 with the 80-hp Rotax, 3X55 seems a relative bargain. Much attention on LSA seems to focus on U.S.-built aircraft or those from Czech Republic. Of course we have many other countries contributing to the growing U.S. fleet including Germany, Italy, and Australia. While Poland also contributes fabrication to the German-designed FK Lightplane series, the country isn’t widely known to Americans as an LSA provider. Its fuselage boom with vertical flanges (assembled from two fuselage halves) shows how this airplane descends from sailplane gliders built for many years in Eastern Europe. 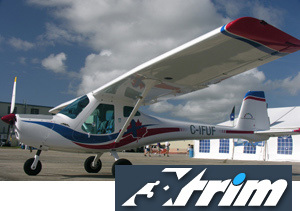 Imported by Rainbow Sport Aviation in Canada, the creator of the 3X55 is Adam Kurbiel, who designed gliders at the SZD-PZL glider factory before turning his attention to light airplanes. A modest cruiser (88 knots or 101 mph at 75% power), 3X55 handles beautifully and lands easily. The 47-inch-wide interior is nicely appointed with modern controls to match more expensive aircraft. Priced at $73,500 with the 80-hp Rotax, 3X55 seems a relative bargain.